What would you do if you fell asleep in your bed and woke up in a strange place two hundred years earlier? Scream? Pray? Cry? Try to go back to sleep? 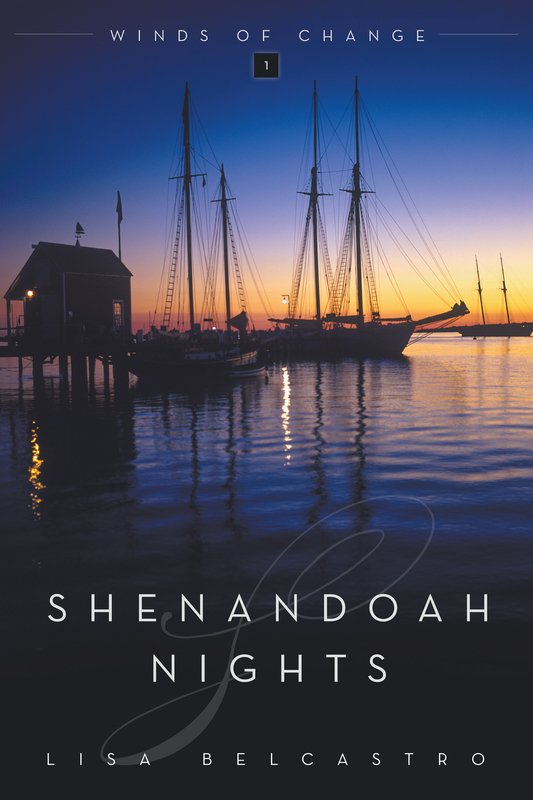 In Shenandoah Nights, Rebecca O’Neill finds herself transported from present day Martha’s Vineyard to 1775 colonial Boston. She has a choice to make: will she trust God with her life, or will she panic and give in to despair. I have often dreamed of traveling back in time to see how the Ingalls family lived, or farther back to witness Jesus teaching the crowds and feeding the thousands. Occasionally, when problems come from all directions, I wish for the opportunity to step into the future and find out how beauty will be made of ashes. But, I always come back to my life, my house, my family, my bit of earthly security no matter how crazy it might be at the moment. Can anyone relate? My momentary fantasies are just that: flights of fancy. Rebecca doesn’t have the choice to go home. Her running shoes, her yoga mat, her job, every physical aspect of life as she knew it is gone. And, as often happens in our lives, Rebecca’s situation goes from bad to worse quicker than a 90-mile an hour fastball hits the catcher’s mitt. Not only is she lost at sea, but Rebecca is then accused of treason and faces death by hanging if she is found guilty. I love, how in the midst of turmoil, Rebecca falls back on what her parents and grandmother modeled: God is in control. Knowing she’s innocent, but unable to prove to anyone that she traveled through time, Rebecca turns to her grandmother’s favorite scripture and falls asleep reciting the Twenty-third Psalm. The days pass, and Rebecca finds herself drawn more and more to the honorable Captain Benjamin Reed. He is kind, a man of integrity and of faith. He exemplifies the qualities her father always told her to look for in a man, and she knows her da would approve of Ben. But she is a woman of the twenty-first century and Ben lives in the eighteenth century. Any attachment would be foolish, and potentially heartbreaking. But time is not the only obstacle standing in the way of Rebecca and Ben. Before she could ever hope of having a loving relationship with him, Rebecca knows she must first tell Ben who she is and where she is from. Though she fears she will lose any chance of winning his heart, Rebecca confesses all to Ben. I imagine Ben’s reaction to Rebecca’s revelation was similar to what many of us would feel – a mix of shock and anger, wondering why she didn’t trust us enough to tell us sooner. Though Ben is hurt, he turns to prayer and also seeks the counsel of two wise, trusted men. I won’t tell you how the story plays out and ruin the ending, but I can share with you that it is only through their faith and trust in God that Rebecca and Ben are able to release their fears and surrender their lives to the Master planner. The last thing sixth-grade teacher Rebecca O’Neill wants to do during the final week of her summer break is chaperone twenty-five kids on a six-night, seven-day trip aboard the schooner Shenandoah. But after a desperate phone call from the school principal, she doesn’t have a choice. Worse, the ship is rumored to be “haunted.” Five years ago, during the Holmes Hole student cruise, teacher Melissa Smith complained about hearing voices and seeing visions, then disappeared without a trace—from the very same cabin where Rebecca will be staying. Everything seems normal on Sunday as Rebecca boards the impressive Shenandoah. But as she sits in Cabin 8, she hears hushed voices that don’t sound like they’re from this century. Mike, a crewmember, insists he believes the crazy Island story that Melissa time-traveled to Colonial Boston. His eerie interest in constantly tracking Rebecca’s whereabouts rattles her nerves. Her first night onboard, Rebecca drifts off to sleep…and wakes the following morning with memories of a secretive conversation about a battle with Britain. Monday night Rebecca crawls into her bunk after an adventurous day of sailing, swimming, and overseeing students. She’s startled awake when a man grabs her and yells, “Stowaway!” Dragged in front of Captain Benjamin Reed, she looks up into the most gorgeous brown eyes she’s ever seen…. 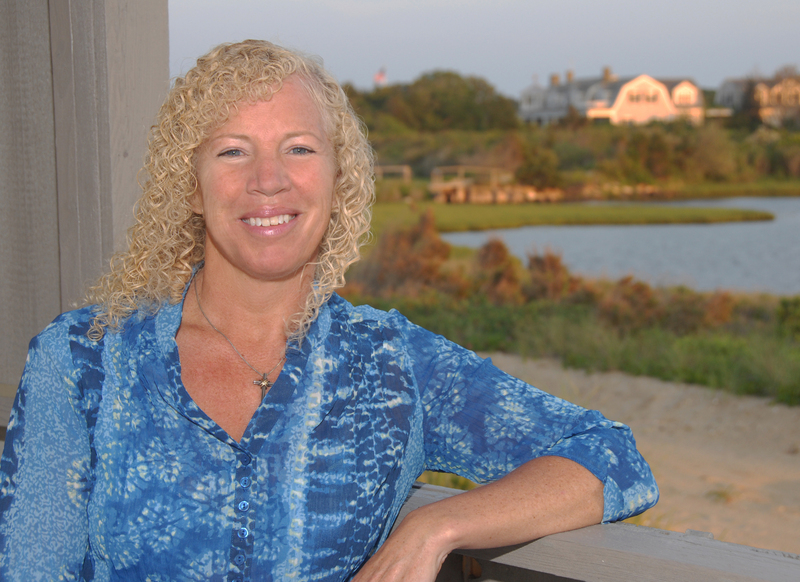 Lisa Belcastro lives with her family on Martha’s Vineyard. She loves chocolate, reading, writing, running, working in her gardens, including weeding, and almost all outdoor activities — as long as the temperature is above sixty degrees! This winter has not been fun for Lisa. Being on or near the water is pure joy for her, and she can’t wait for the warmer weather to arrive. When she’s not at her desk working on her next novel or writing the cuisine column for Vineyard Style Magazine, Lisa is volunteering at her daughter’s school, serving in her church community, gardening, trying to run a marathon a month, or walking the beach with her husband looking for sea glass. There will be two winner- one print book and one e-book. Please state in the comments which you would prefer if you won. U.S. residents only for print copy, please. I totally agree Stephanie! Traveling back in time would be incredible. I’d like to pack a few essentials – chocolate, camera, etc – but I’m ready to go. Thanks for stopping by. Would you like a print copy or an ebook of Shenandoah Nights? Please private message me your mailing address and I’ll get that book in the mail to you ASAP. Shenandoah Nights sounds exciting. I will put it on my list to read next. Thanks for stopping by. I’d love to send you a copy of Shenandoah Nights. Would you like an print copy or ebook?